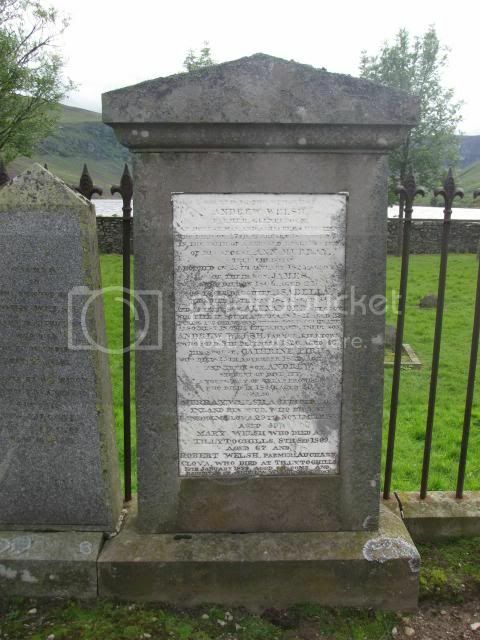 son of William & Christina Innes, late of CLINTERLY , KINELLAR , ABERDEENSHIRE . 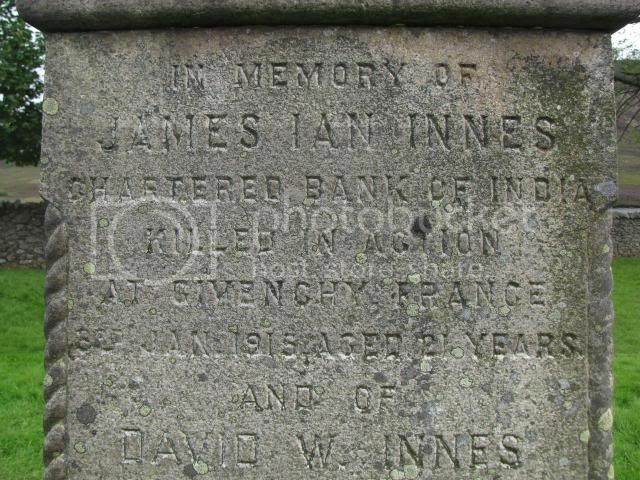 Pte 2040 James Ian INNES, London Scottish seems not to have been listed on the War Memorial for Glenesk at TARFSIDE as he was not born in the Glen ! 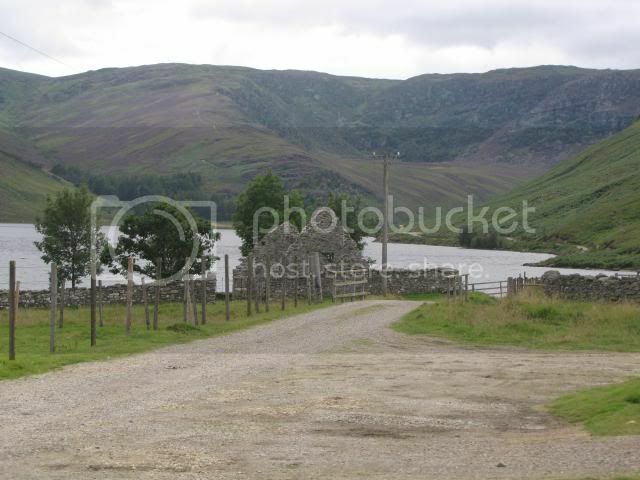 Regiment/Service: London Regiment (London Scottish) 1st/14th Bn. 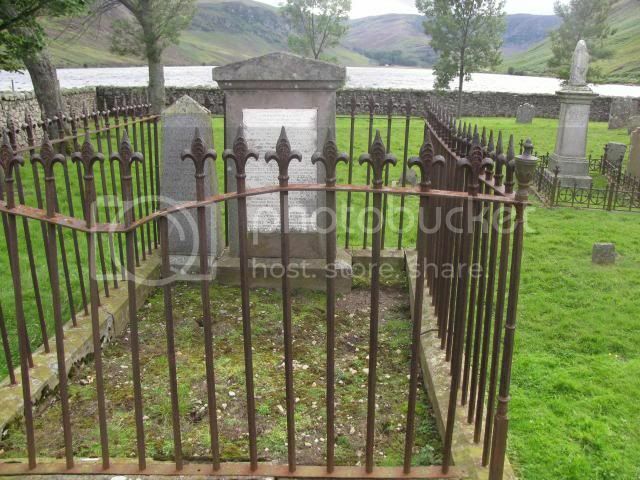 Additional Information: Son of William and Christina Innes, late of Clinterly, Kinellar, Aberdeenshire. From my own knowledge this should read Clinterty, not Clinterly. An interesting oddity here, a surgeon killed in action during the Chilean War of Independence serving with the (then) somewhat disgraced Lord Cochrane, who was commanding the Chilean Navy. 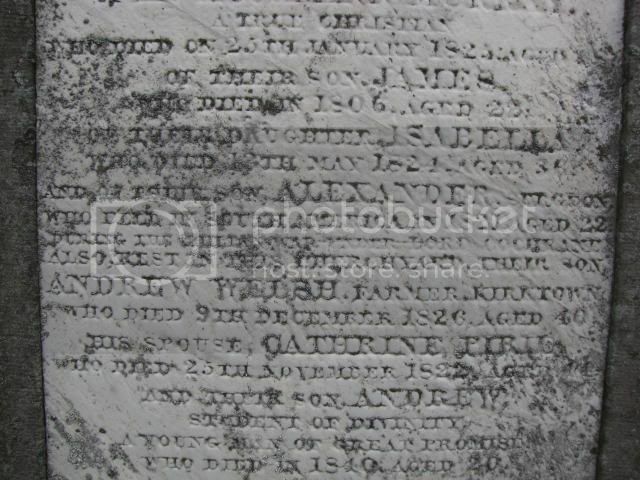 Family headstone reads "and of their son Alexander [Welsh], surgeon, who fell in South America in 1821 aged 22 during the Chilian [sic] War under Lord Cochrane"
The bold Cochrane was certainly a man of his time and his exploits were the inspiration for the book/film Master & Commander.